These fries are baked with goodness. 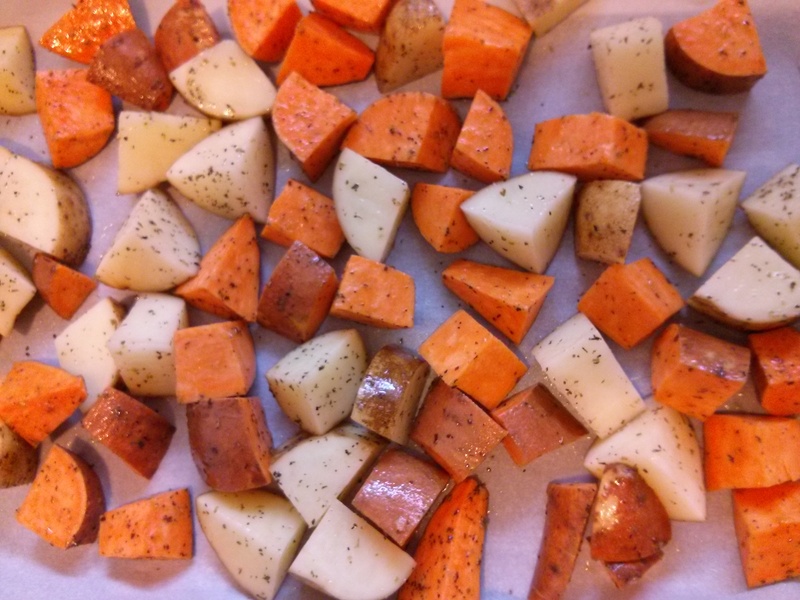 You can use regular potatoes, sweet potatoes or a combination (as we did). You can also cut them into traditional looking fries rather than the cubes shown. Do whatever it takes for your kids to eat these instead of the fast food version! Cut potatoes into cubes or desired shape. Toss potatoes with oil, basil, oregano, salt. Bake in 400 degree F oven for 45 minutes or until cooked through. Note: use parchment paper to line tray for easy clean up.